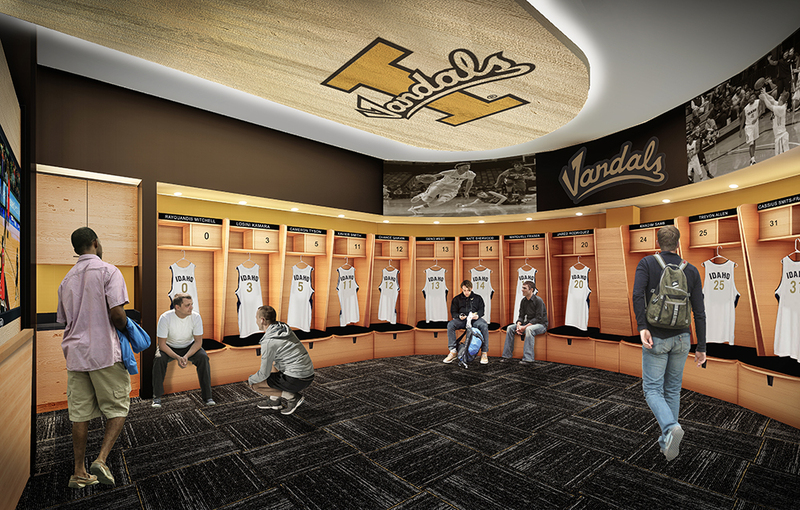 The new 4,700-seat Arena at the University of Idaho will serve as the home for Vandal men’s and women’s basketball as well as a gathering place for a variety of events to enhance student life including special concerts, academic conferences and other student events. 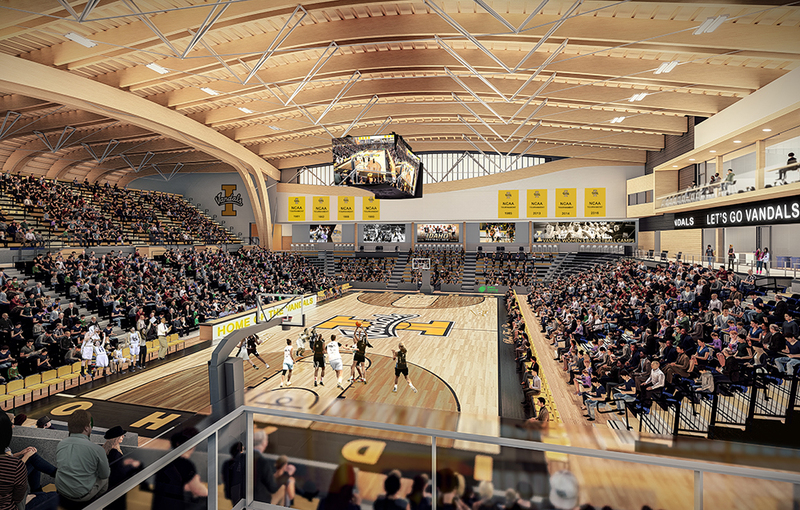 Slated for construction on the north side of the Kibbie Dome, the new Arena has the potential to take the Vandal basketball teams to a new level of national attention and interest. 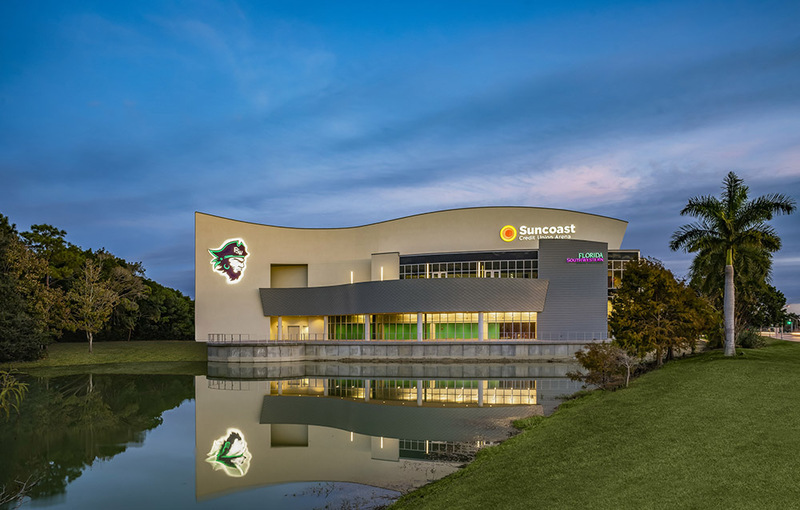 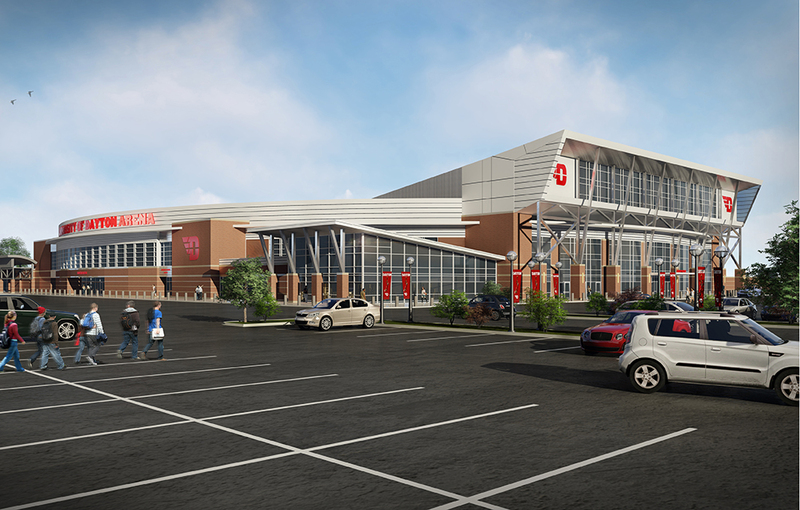 The new venue will rally fan excitement, strengthen recruiting and place the University’s athletic facilities on par with other Division I universities. 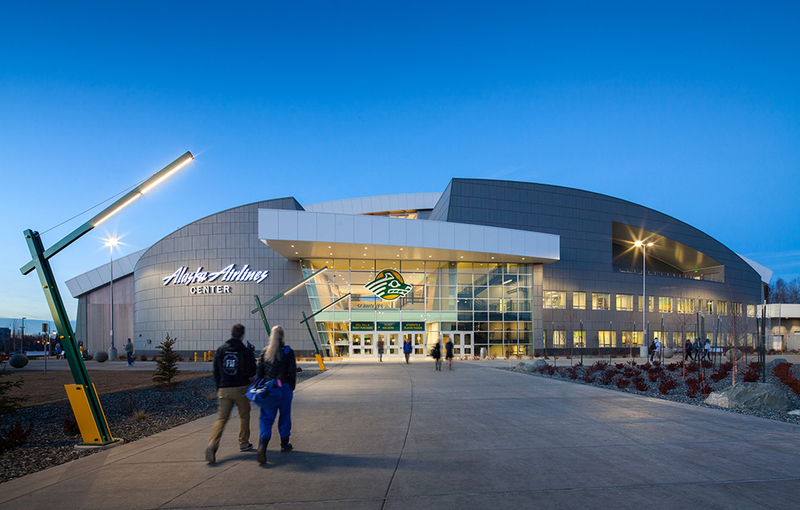 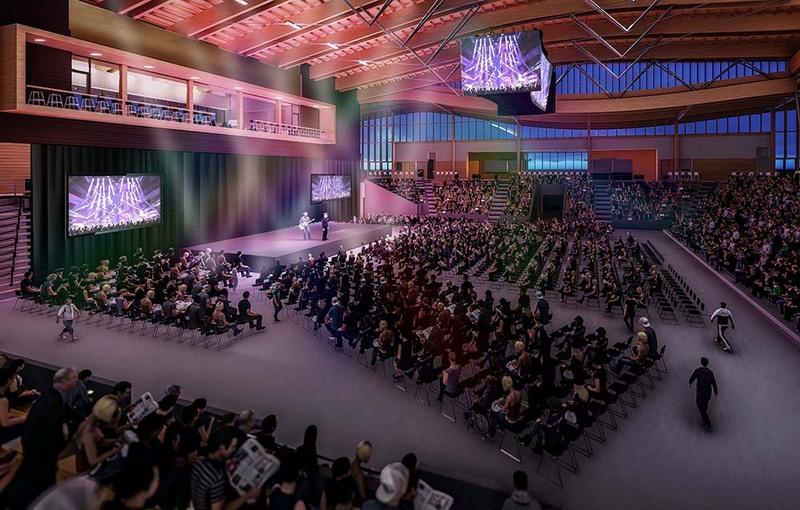 Designed as a multi-event and court sports facility, the Arena will provide a vibrant and intimate experience for fans. 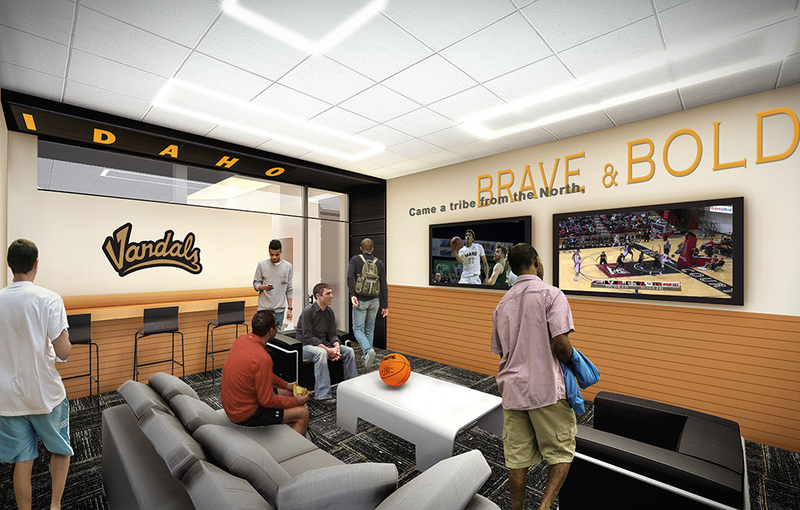 Plans include a main Vandal home court, practice court, men’s and women’s locker rooms, conference space, concessions, media room as well as coaching and staff offices. 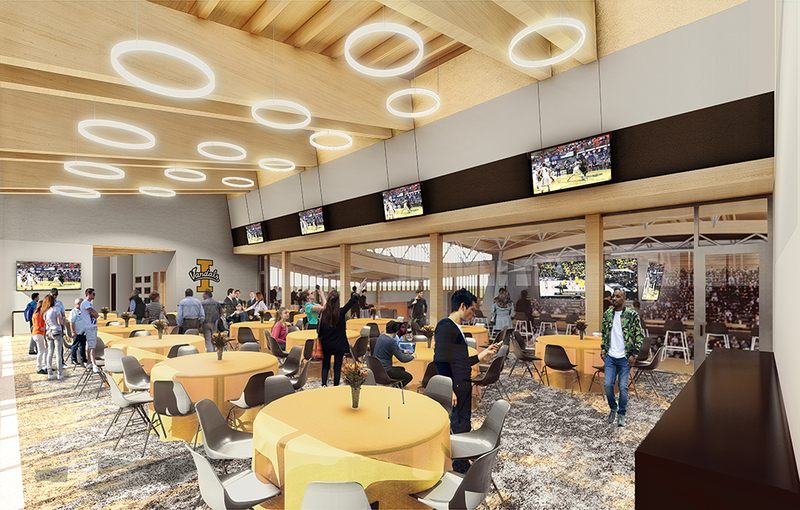 The University received a highly-competitive Wood Innovation Grant to make timber and mass timber construction a focal point of the project. 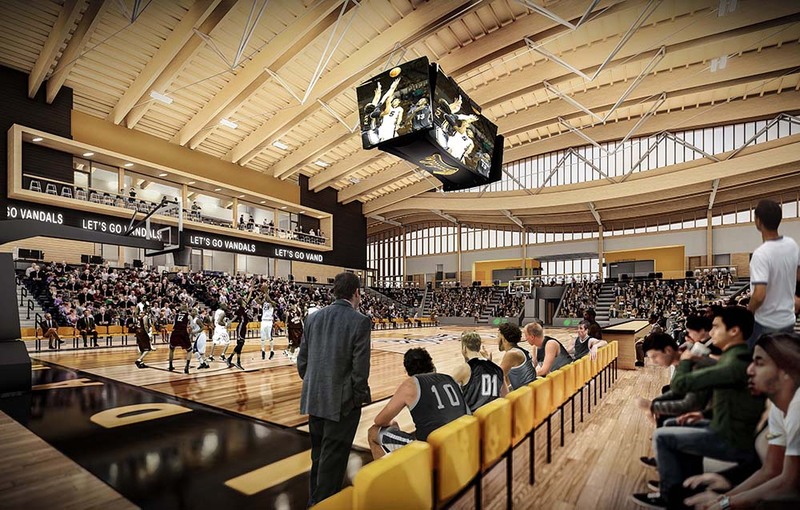 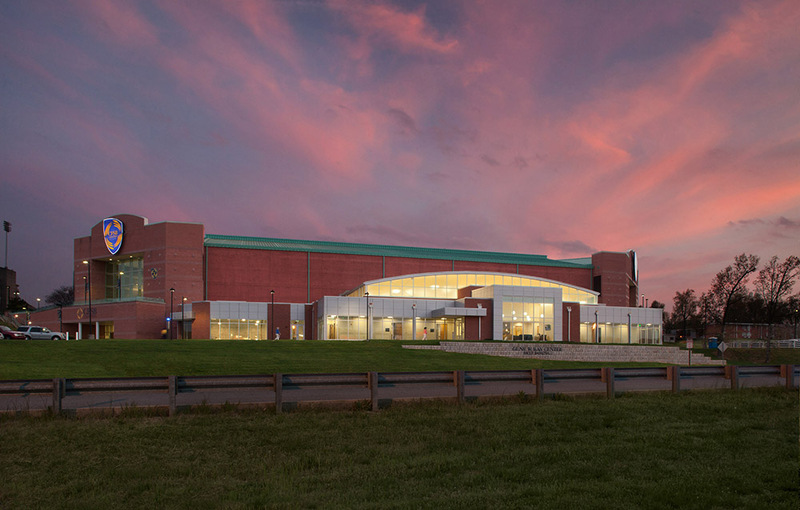 When completed, the Arena will be the first signature wood facility of its size in the state. 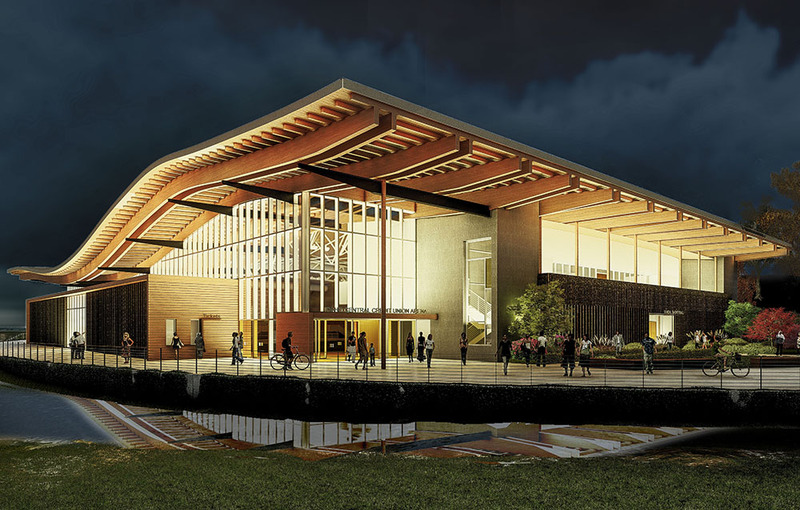 It will also serve as a learning laboratory for students in forestry, engineering and more. 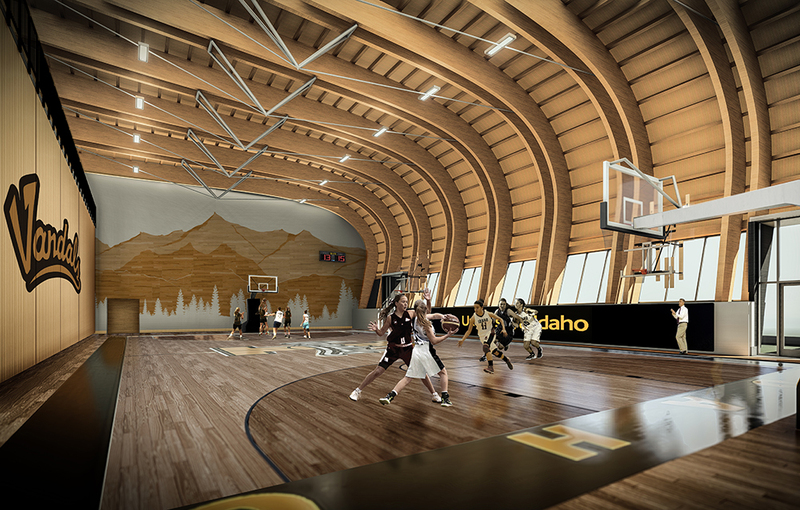 The Arena will be a showpiece for the University of Idaho’s student-athletes, tell the story of Idaho’s heritage and provide a unique gathering place for generations of Vandals to come.